Applied behavior analysis (ABA) is a highly effective, rigorously researched intervention for children with autism spectrum disorders—but most teachers don't get the training they need to put it to work in their inclusive classroom. That's why every K–12 educator needs this practical guidebook, packed with teaching plans and plain-English guidance on using ABA to improve outcomes for students with autism and behavior challenges. "Taps a rich research base while communicating directly and clearly with educators . . . A refreshing perspective mixed with technical precision, this text is a creative and interesting alternative to the drab references to standardized curriculum and assessment so frequently found in modern teaching literature." 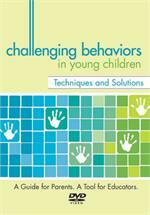 "Dr. Leach has bridged the gap between research and practice with her book . . . 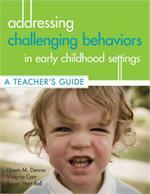 It is a toolkit that no parent or teacher should be without." "Truly a book for our times . . . the principles and practices of ABA continue to represent our very best practices in educating students with autism spectrum disorders in any setting." "The best guide for a step-by-step approach to inclusion using data-based decisions. Every teacher should read this book . . . The teaching plans and other tools included in this book make it a must-have!" "An excellent way to bridge the teaching strategies of Applied Behavior Analysis and the educational environment of inclusive settings . . . will help teachers create meaningful goals, foster independence, assess progress in systematic ways, and program for the generalization of skills." "All members of the collaborative team—behavior analysts, special and general educators, and parents--will find this book to be an excellent resource for planning and implementing a high-powered ABA program in the inclusive classroom."